Tibor Szamuely sounded like a pessimist, and with good reason. Years after his release from the Gulag, he wrote a compelling book, The Russian Tradition, whose central argument is that Russian political culture was permanently damaged by centuries of violent authoritarianism. Szamuely was born in Moscow in 1925 into a privileged Hungarian family. As a young Red Army veteran after the Second World War, he ended up in a Gulag camp at Vorkuta, and was released and rehabilitated while Stalin was still alive. He was allowed to come straight back to Moscow and enter academic life. In the Khrushchev era, he followed a scholarly career in Budapest, Ghana and, remarkably, Britain (remarkable not least because he extricated his entire library as well as his family from the Soviet satellite in West Africa). From 1964, he lived in dissident exile in London, was employed by Reading University, wrote vigorously and widely, and had literary-political friends that included Robert Conquest and Kingsley Amis. He died young, eight years after coming to Britain. In other words, his life was an unlikely story. 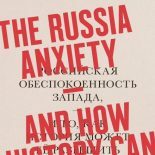 Szamuely’s vision of Russian history seems to be defined by determinism. But his arguments incorporated the lives and decisions of great men. Peter the Great was top of his list. ‘Only Russia,’ he wrote, pointing to the terms pre- and post-Petrine, ‘adjusts her whole chronology around one man.’ For Szamuely, Peter embodied the reconciliation of chance and structure into a single way of interpreting Russian history. He argued that ‘Peter was Russia’, the living definition of its structural contradictions, complexes, and failures. This hints at a different, perhaps more optimistic truth about Russian history — and about Szamuely, too. ‘There was nobody like him for so many things,’ wrote Kingsley Amis of Szamuely, ‘most of all perhaps for steady underlying cheerfulness and optimism.’ Szamuely’s point about Peter the Great reminds us not that it takes a unique personality to change the course of history, but that recognizing the ubiquity of chance humanizes the study of the past. If chance is the most easily understood explanation of human lives, the past makes little sense without it. Tormented by the structures of Russian history, Szamuely still seemed to see the chaotic possibilities of life, which could be terrible, but whose very existence placed human beings at the centre of every historical story. Or at least they did if you made it through to dawn. This entry was posted on October 21, 2018 by beyondthekremlin in Russia past and present and tagged Britain and Russia, Cold War, Gulag, historians.